Our customers are perfectly equipped with our solutions for compliant communications recording to face the challenges of the new EU regulation. ASC, a worldwide leading software provider of recording and analytics solutions, met the latest General Data Protection Regulation (GDPR) adopted by the European Union. 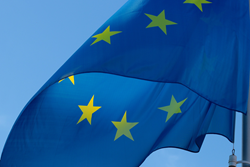 The GDPR, effective as of May 25, 2018, was enacted to strengthen data protection for all individuals in the member states of the European Union. The "right to be forgotten" is an important component of the GDPR and anchors the possibilities of having data once stored deleted again. ASC’s solutions offer the possibility to easily find and tag data for possible deletion. Creating a protocol helps to prevent misuse. Additionally, the four-eyes principle increases security and ensures that affected data cannot be removed at random. The GDPR aims at giving EU citizens unconditional control of their personal data by prescribing that they have to be informed about the collection of their data and stipulating their right to contradict this as well as to question who is collecting, processing, and moving their data for which purpose. The new regulation applies for all companies based in the European Union as well as for all companies they are doing business with. Breaches of the GDPR may be sanctioned with severe fines. Germany has been one of the first adopters of data protection legislation: Large part of the content of the Federal Data Protection Act is now transferred into European law. As a consequence, ASC with its headquarters in Germany is well acquainted with the challenges of modern data protection and has been implementing respective solutions in its products thus helping its customers to comply with legal requirements. Dr. Gerald Kromer, Chief Executive Officer of ASC added, “Many companies in Germany are not aware of the implications that the GDPR may have for them or how to comply with the requirements - especially in the Cloud.” Being an expert for recording, analysis, and assessment of multimedia interactions from the Cloud, ASC has a compliant solution up its sleeve for this scenario, too, of course. For more information about ASC’s portfolio, please visit http://www.asctechnologies.com.